Gps tracking system autronicals infotech pvt. ltd. Taking quality as our principal concern, we are betrothed in presenting an excellent quality of Vehicle GPS Tracking System to the prestigious customers. 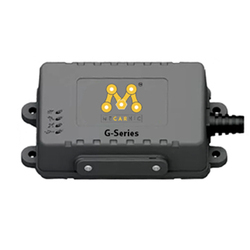 We are a highly acknowledged organization, engaged in presenting a remarkable range of Vehicle GPS Tracking System. Excellent quality school-bus tracking solution for both school administration and parents. School can monitor the bus fleet with ease. We are a unique name in the industry to provide our prestigious clients an exclusive range of GPS Vehicle Tracker Teltonika. Owing to our prosperous expertise of this area, our firm is engaged in offering a wide series of VTS with Panic Switch. Our patrons can avail this product from us in diverse specifications. Orbit Three is a GPS vehicle tracker focus on vehicle status detecting and real-time tracking, it is the most reliable and cost efficient tracking device in the market.